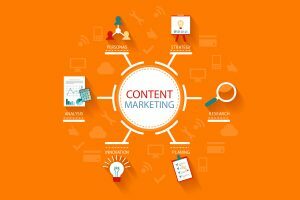 Content marketing – yet another popular buzzword. Just google it and you’ll see over 361,000,000 results. That says one thing to me: In the digital era content is the most important asset a business can have. It’s no longer your product or your service, it’s the content you create about it (and around it) that gets you found. Even though we are surrounded by so much information (and noise), people always want more. But they want quality over quantity. They want you to guide them and teach them. They want you to solve their problems. They want you to give them solutions. How do you do that? By creating unique content that helps you stand out in all that noise. The demand generation is hungry for such remarkable content. Content that is worth consuming and sharing. Content that shows WIIFM (“what’s in it for me”). Content that fascinates. That type of content should be the fuel of your online marketing and communications efforts in order to connect with your audience and distinguish yourself, to avoid being just the next “me too” business, product or service among the million others. By following the three important steps covered in thе post How to Create Content that Fascinates – The Three Essential Steps you will learn how to create such compelling content.